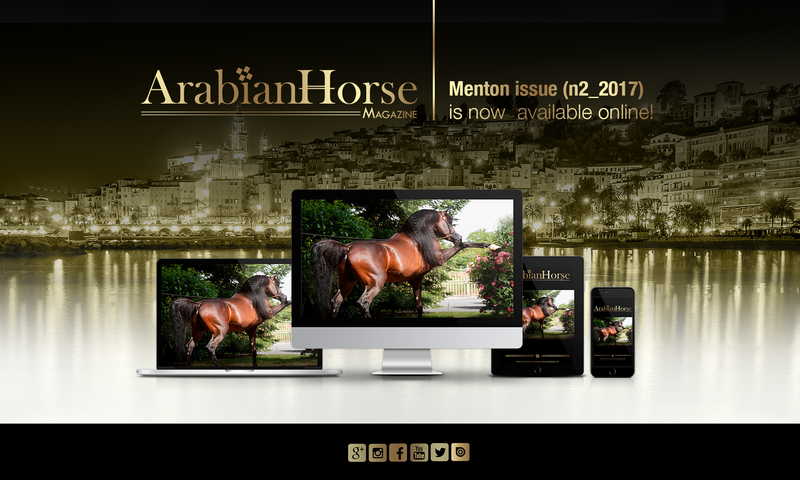 Welcome to our traditional rendezvous with Arabian Horse Magazine. At the height of the breeding and show season, breeders from all over the world are having the chance to present their horses to international spectators and to receive decorations. 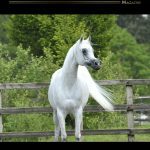 We would like to cast a spell on the charisma, the beauty and the nobility of today’s best representatives of the most beautiful horse breed worldwide: Shael Dream Desert, Excalibur EA, Wadee Al Shaqab, Fuerte, Emerald J., and Muranas Jassher. Just to mention a few of them. These rare Arabian specimens are simply wowing the international audiences with their stunning performances. The Menton issue comes out is in a very interesting and vivacious part of the year. The numbers of entries with the plethora of horse events in Europe, the U.A.E., Qatar, and U.S.A. have exceeded all expectations in 2017. There has been a big number of members of the world Arabian community, whether breeders, handlers, trainers, amateur, open riders or just loyal visitors, moving around the globe to join in the most popular shows of the season: the 25th Qatar International Arabian Horse Show, the International Arabian Horses Championship in Dubai, the 11th Annual Arabian Breeders World Cup Show in Las Vegas, the Wels Arabian Horse International B Show. So far, Arabian Horse Magazine crew has not missed one single date on the “Al Shaqab-Italian Show Tour 2017”. We flew to Palermo, Milan and Pietrasanta. 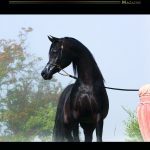 Having so many breeders participating actively in the shows is a very positive development for our Magazine as well as for the whole international Arabian horse community whose members are having ever-growing opportunities to meet each other, exchange ideas, and gain valuable insights for their breeding program. In the context of an increasingly globalised world, this support is also helping us advancing with our review on the international scene. 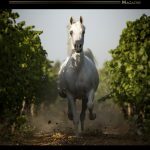 Our greeting applies to all of you, who remained loyal to our magazine and to the horses and who, even in hard times, spare no pains to invest time, money and enthusiasm to be prepared to meet in the various fair contests. Our special thank applies to the judges, the organizing teams and the many assistants. Thank you so much to all the sponsors; due to their generosity these wonderful and dignified shows are made possible at all. Beauty and performance should not be mutually exclusive. The Arabian horse is sensitive, powerful and noble; may it find an equivalent rider. For 2017, we do hope for a harmonically togetherness and would like to wish the exhibitors good success, all visitors interesting and long lasting impressions and deeply hope that you will enjoy the noble Arabian horses! Let us forget about the sometimes unnecessary quarrels of our everyday life. 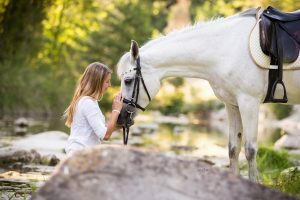 May the beauty and the charisma, the nobility and the special flair that comes from this most beautiful horse breed of the world cast a spell on all of us!